Zulqarnain Haider (Urdu: ذولقرنین حیدر‎, born 23 April 1986 in Lahore) is Pakistani cricketer who has played for his national team. Having played for Pakistan Under-19s, Haider was called up to the senior national side in 2010 as cover for wicket-keeper Kamran Akmal during their tour of England. Haider made his Test debut during the tour, but a broken finger limited him to one match. Later that year he made his One Day International (ODI) debut against South Africa, against whom he has played all four of his ODIs to date. After the fourth match Haider fled to London amid fears for his safety. A right-handed batsman, Haider has represented both Lahore Blues and Pakistan Telecommunication Company Limited in Pakistani domestic cricket, and now plays for Zarai Taraqiati Bank Ltd.
Haider was born in the Pakistani city of Lahore. His mother died from cancer in 1998 when he was 12. He decided that he would donate half his match fee from his test debut to the Shaukat Khanum Memorial Cancer Hospital & Research Centre. In August 2010, Haider's father, who was suffering from hepatitis C, slipped into a coma. With regular wicket-keeper Kamran Akmal suffering from a prolonged period of poor form in both his roles as 'keeper and batsman, Pakistan were searching for backup. As a result, Haider was drafted into Pakistan's 17-man squad to tour South Africa in January 2007. He made his Twenty20 International debut on the tour, assuming 'keeping duties from Akmal who acted as a specialist batsman. South Africa won by ten wickets, and Haider contributed five runs to Pakistan's total of 129 all out. Haider's had to wait more than three years for his next international match. In July 2010, Pakistan toured England for four Tests, five ODIs, and two T20Is; Haider was included in the touring squad. After a pair and several missed chances behind the stumps, Akmal was dropped in favour of Haider. In the first innings Haider was dismissed first ball by fast bowler Stuart Broad, and nearly succumbed to his first ball in the second innings. Initially given out to spinner Graeme Swann, Haider reviewed the decision and was reprieved. Haider exploited the opportunity and made 88 before he was dismissed, and enthusiastically celebrated his half-century. Days later it was revealed that Haider had suffered a fractured finger that could have been exacerbated after being hit on the hand by a throw from Stuart Broad. He played no further part in the series. When Pakistan played South Africa in October 2010 for two T20Is and five ODIs, Haider was included in the 15-man squad as the only specialist wicket-keeper. In the first four ODIs Haider took three catches and scored 48 runs. On the morning of 8 November, before the fifth ODI against South Africa started, Haider left the team without permission. Later that day he arrived in London. 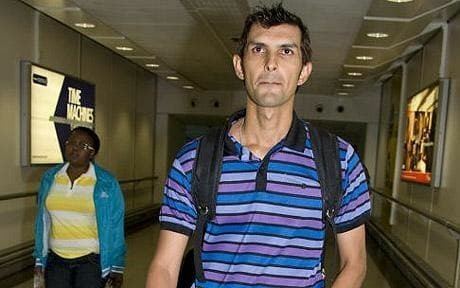 Haider decided to seek asylum in the United Kingdom, a move which was not supported by the Pakistan's government which insisted Haider should have turned to them first. The Pakistan Cricket Board (PCB) suspended Haider's contract. On 10 November, Haider announced his retirement from international cricket. He explained that he had been asked to lose the fourth ODI on 4 November and that after hitting the winning runs he had received threats against his life and family. 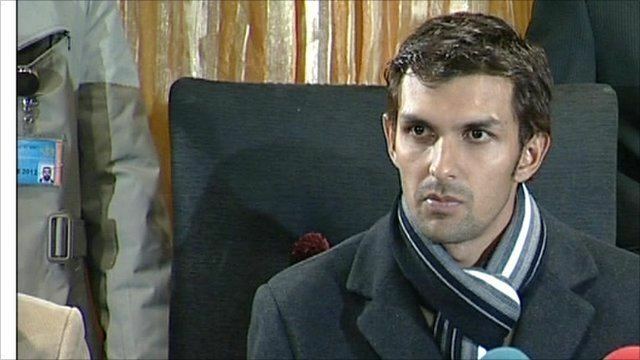 In April 2011, Haider withdrew his application for asylum and returned to Pakistan after receiving assurances from Rehman Malik, Pakistan's interior minister, about his safety. Malik stated that Haider would be given "full security". On 12 May 2011, Haider announced that he was withdrawing his retirement from international cricket. The PCB set up a disciplinary committee, the result of which was imposing a fine of 500,000 rupees for breaching the team's code of conduct by going to London without permission. According to the PCB Haider "had no proof of any wrongdoing against any player or official of the board, and withdrew all his allegations". He was passed over for selection during Faysal Bank T20, but was included by Zarai Taraqiati Bank Limited for the first-class season. He played his first match for the team on 6 October, taking three catches but failing to score a run in his single innings.